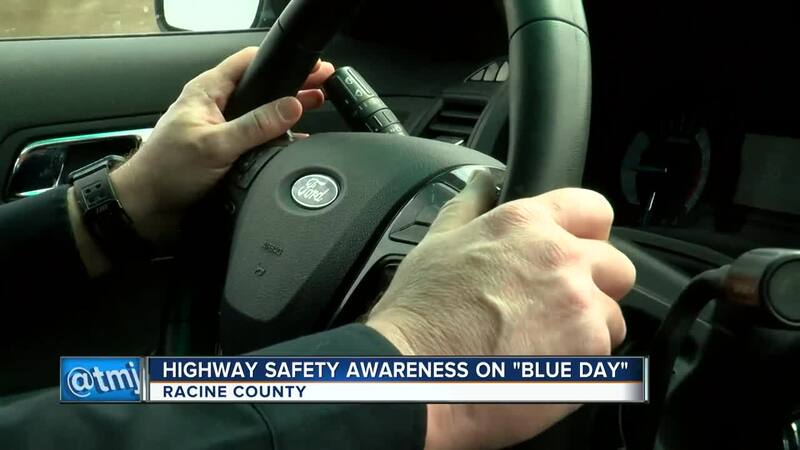 Troopers on the Lookout for "Blue Day"
MILWAUKEE — Troopers across Wisconsin were out in full force, cracking down on speeders, impaired drivers and distracted drivers for “Blue Day." "Blue Day" is a day created to raise safe, law-abiding driving along roadways. Trooper Matthew Barlar has worked for the Wisconsin State Patrol for 13 years. Tuesday morning, three hours into his shift, he wrote five speeding tickets, took a woman to jail and rescued a cat out of a dumpster. “We have a fully marked squad car, and people still drive by 70 to 75 miles per hour,” Barlar said. Barlar said speeding in a construction zone is not only dangerous for the driver but for workers in the area. They are also looking for drivers who fail to move over for emergency vehicles. “Be aware of law enforcement emergency personal, not only for myself but I have small kids. They want to make sure I come home safely at night,” Barlar said. In 2018 in Wisconsin, there were nearly 20,000 speed-related crashes (19,997) that resulted in almost 8,000 injuries (7,957) and 173 fatalities. He hopes the increase in troopers out on the roads will remind people to slow down and stay safe. Along with watching the roads, a State Patrol aircraft was doing flyovers in Kenosha County to target excessive speeders.